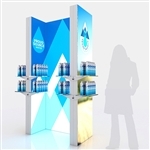 Make a statement with a custom portable kiosk display. 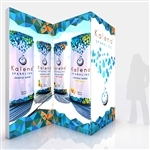 Kiosk displays are custom built for you and are the perfect focal point to any exhibit booth. Custom build displays ensure you will have a one of a kind display at a kit display price.